The lounge is spacious with a large free-standing L-shaped sofa and scatter cushions, coffee table with stowaway upholstered cube stools. Contemporary electric fire with wood-framed fireplace. The facility to locate a flat screen TV (up to 32") over fireplace and Sky+ connection to TV cabinet. 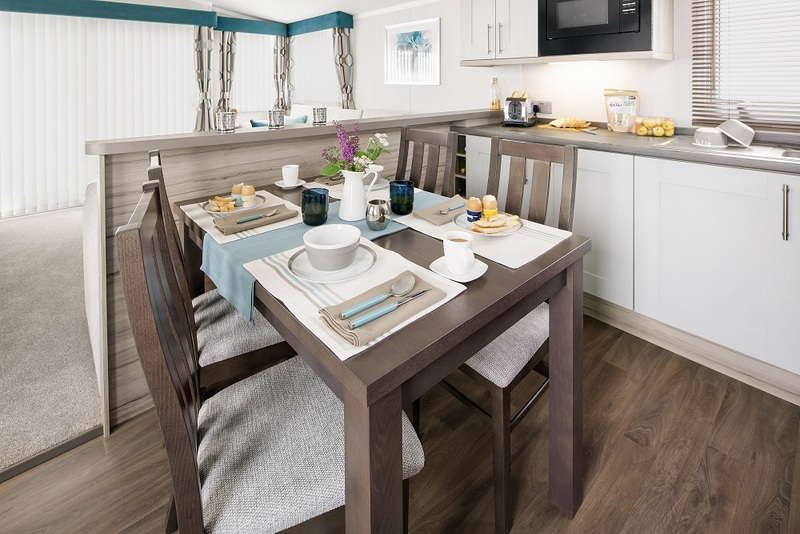 The stylish dining area features a real wood finish dining table and 4 high-backed dining chairs. 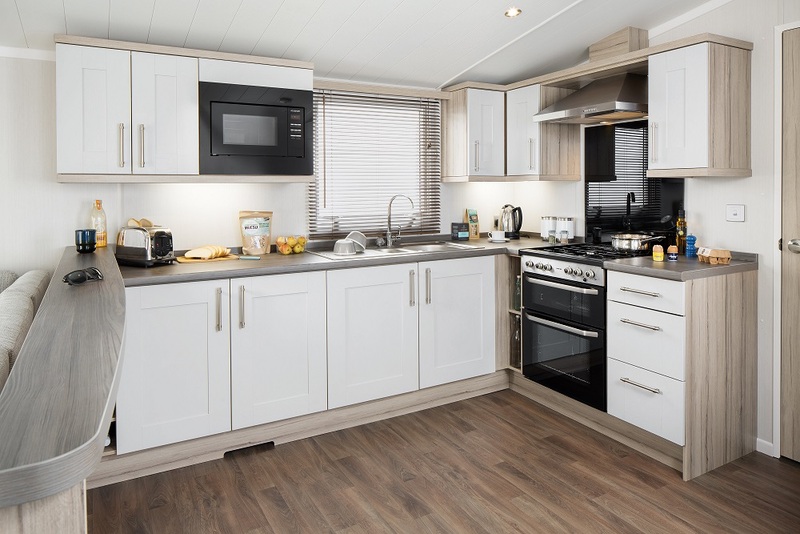 The fully fitted kitchen includes an integrated fridge-freezer and microwave. 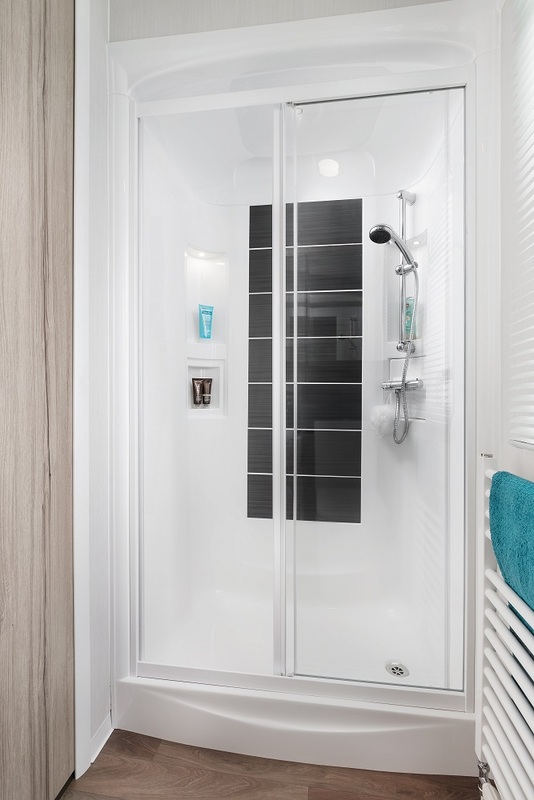 Family shower room: shower enclosure with lid and LED downlight. 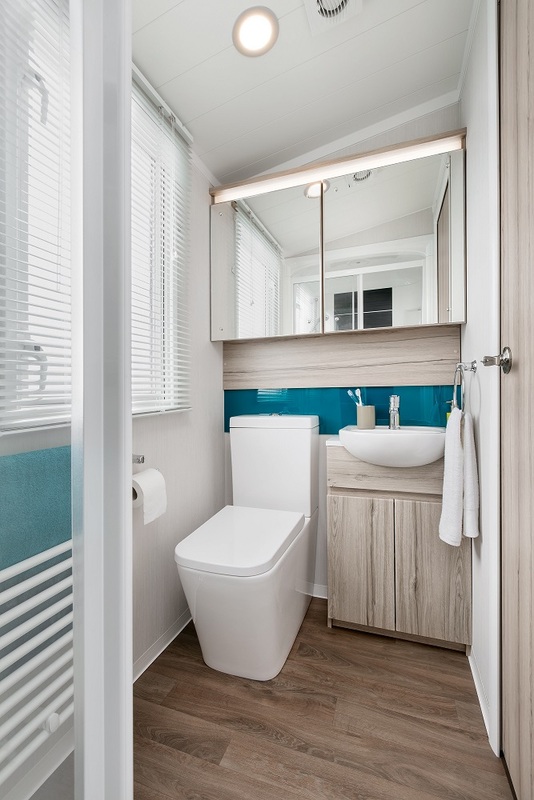 WC with soft-close lid, extractor fan, wash basin and vanity area. The master bedroom features a King-sized double bed with lift-up storage system and Duvalay mattress. 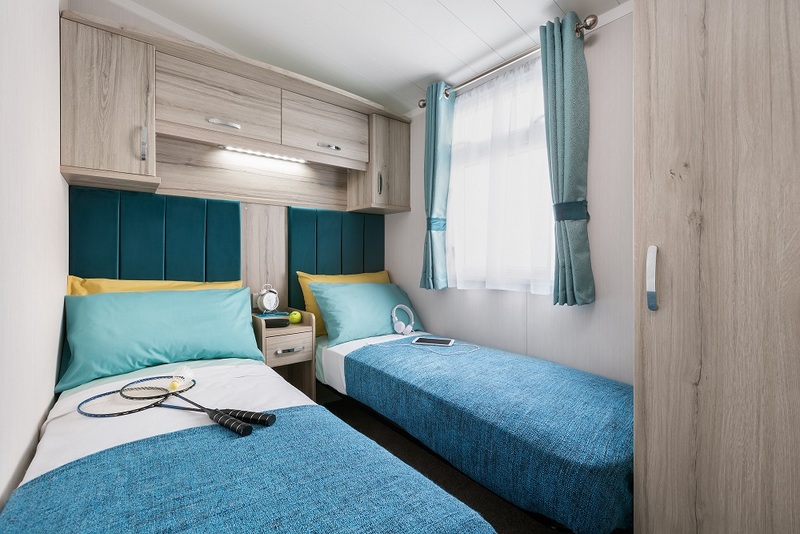 With plenty of storage options, TV point facility and en-suite. Twin bedroom: single beds with Duvalay mattresses, TV point facility. 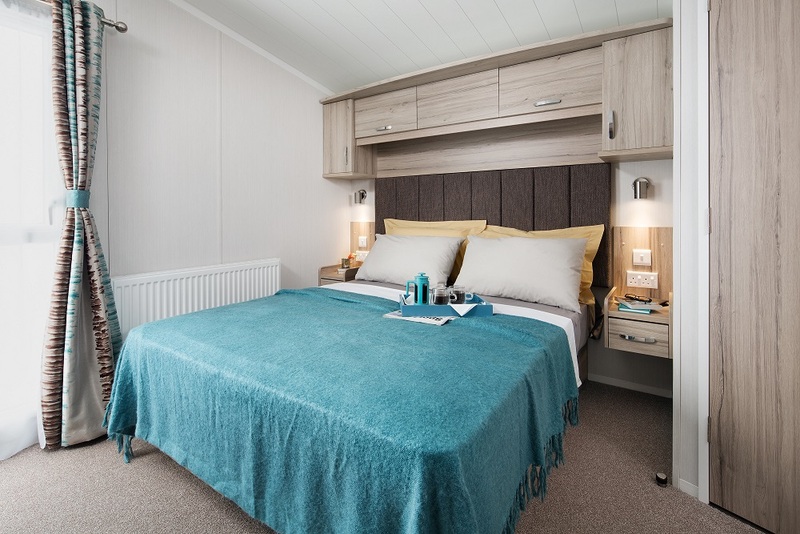 The Swift Moselle holiday home is unique in its price range. 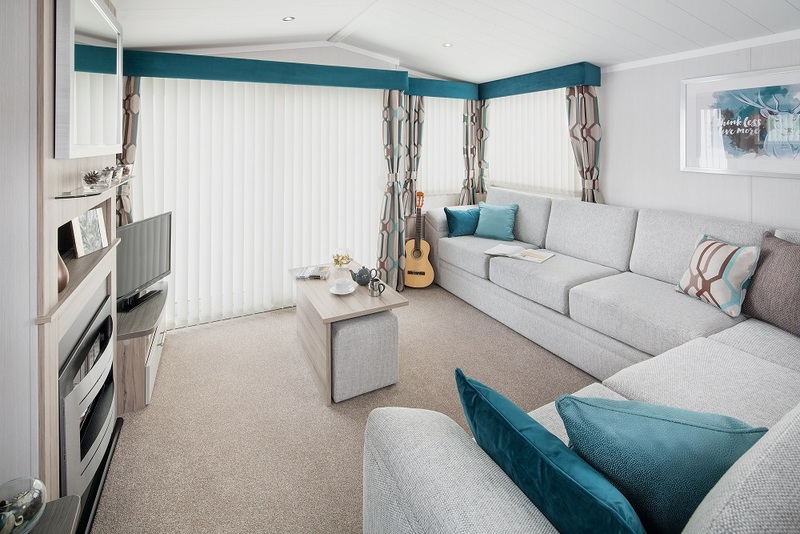 Coast and country Holiday Parks can be recommended to locate the Swift Moselle.